So excited to be guest posting over at Little City Adventures today with a fun (and easy) recipe for Strawberry Blueberry Jam! While thinking of things I could show everyone, jam immediately came to mind. 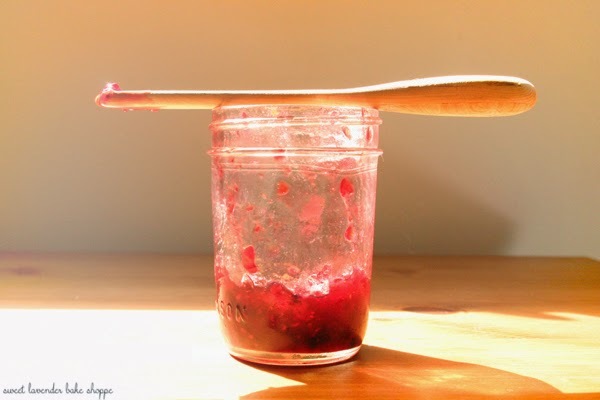 Everyone loves jam and I love showing everyone how easy it really is to make your own :) So grab a cup of tea, a sunny spot in the room, and let's head over there shall we? Also linking up here today! Oh jam! It's like the sweetness of summer preserved in a jar. haha! Will check it out! Making my own jam is on my bucket list...this looks like an amazing one! You know, I would totally start with the crisp. I don't know about everyone, but to me- there's nothing like a buttery crisp topping paired with the tartness of the rhubarb! Hope that help! AND LUCKY YOU! Good luck with your new plant! Homemade jam is one of life's greatest blessings. I just love it! Once you get the hang of it you'll laugh at how easy it really is. People feel like it's so intimidating, and it really isn't! So fresh and so good! Confession: I have never made jam. *covers face in embarrassment* BUT - I think this is the year I finally will!